Angiostrongyliasis, more commonly known as rat lungworm disease, has been a growing concern over the last couple of years for Hawaii’s residents and visitors alike. Caused by a roundworm parasite, it can have debilitating effects on a person’s brain and spinal cord. It spreads when rodents pass larvae of the worm in their feces, which are then eaten by snails and slugs. The disease is endemic to Hawaii and cases have been reported in the islands since the late 1950s. Rat lungworm disease cannot be spread from person-to-person. Humans typically become infected by accidentally consuming raw snails or slugs, sometimes hidden on unwashed produce. People can also get the disease from eating raw or undercooked snails, freshwater prawns, crabs, and frogs. Each year, roughly 2 to 12 serious cases of the disease are confirmed in Hawaii. Symptoms include severe headaches, neck stiffness, fever, tingling or painful feelings in the skin or extremities. While most people experience very mild symptoms that go away over time, others are left with severe and long-term complications. Our keiki are of special concern. Children explore their world by putting objects into their mouths—it’s a natural stage of their development. Parents and caregivers should closely supervise young children and ensure they don’t pick up and put slugs, snails or other objects from the ground into their mouths. 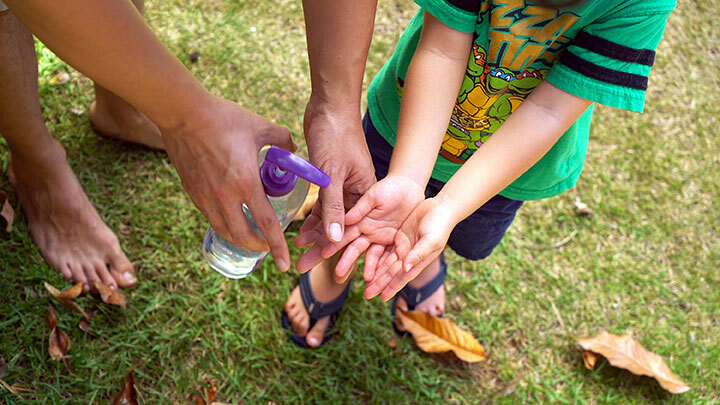 Infants, toddlers and young children who become infected may not be able to express themselves and describe their symptoms like an adult would. Children may experience behavioral changes such as unusually bad temper, mood changes or extreme tiredness and fatigue. Thoroughly wash all fruits and vegetables under clean, running water whether it’s from the grocery store, farmer’s market or backyard garden. 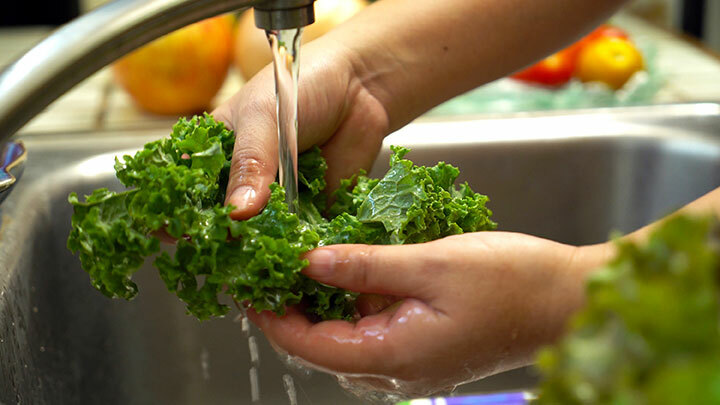 • Take extra precautions for leafy greens and wash carefully to remove contaminants. 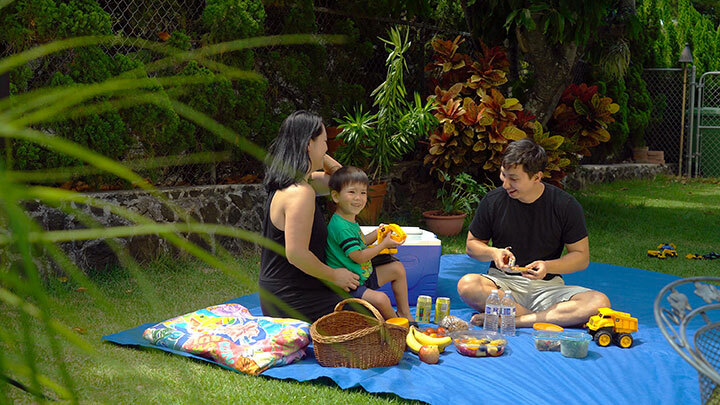 • Cover food and drink containers, especially when enjoying them outdoors. • When eating out or pre-made food, inspect produce before consuming. • Cook food thoroughly by boiling for 3-5 minutes or heating to 165 degrees Fahrenheit for 15 seconds. • Use slug/snail baits and rat traps. Always wear gloves and follow product label instructions for use and disposal. • Inspect and clean water catchment tanks regularly and keep other outdoor containers covered. • Place a nozzle on garden hoses and keep them off the ground to prevent slugs and snails from crawling in. Do not drink from garden hoses. Diagnosis and treatment of rat lungworm disease can be especially difficult. In 2018, Governor David Ige’s Joint Task Force on Rat Lungworm Disease developed new preliminary guidelines for the clinical management of angiostrongyliasis. Prior to the extensive work completed by the Task Force—made up of medical, scientific, environmental, and public health experts across the state—there were no clear, reliable diagnosis and treatment protocols available to Hawaii physicians. The new guidelines are available online and provide clear diagnosis, treatment, and management guidance for timely identification and care for patients who have contracted the disease.